Introducing the Ultimate Image Consultant Training Program designed for both new and experienced image consultants with all the colour, style and image training, personal coaching, mentoring and support you could possibly need. With over 35 years’ experience running an image consultancy and image consultant training business, my knowledge and experience are at your disposal. 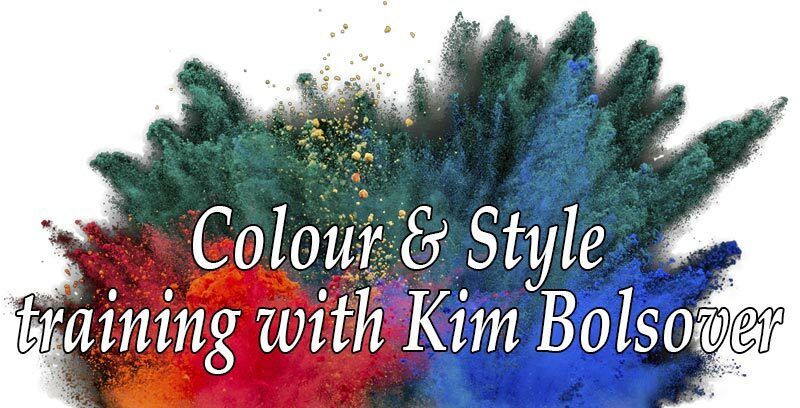 So you and I can work together on your colour & style skills and how to build your business. You’ll receive a wealth of colour & style training courses, a personal and business development course, and an extra business-building course, along with internationally-recognised certification, my personal coaching and support along with membership of an exclusive online community of image consultants. So don’t waste your time and hard-earned money on out-of-date training that leaves your bank account empty, your head full of unanswered questions, and no clue what to do next. Get my personal help and support with the Ultimate Image Consultant Training Program. You get 6 private 1-1 coaching sessions with me, Kim Bolsover, the program author. With over 35 years’ experience running an image consultancy and image consultant training business, my knowledge and experience are at your disposal. So you and I can work together on your colour & style skills and how to build your image consultancy, you will have private 1-1 coaching sessions where I can personally answer all your questions, review your progress, suggest improvements and together we can put together a bespoke plan for you to achieve your personal and business goals. As one consultant said to me, “Kim, I’d really like to pin you to a chair and download your brain!” Well, now you can! Internationally-recognised course certification is included. I spent a fabulous hour on the phone recently with a lovely lady who had invested in the Ultimate Program. We had already completed one certification by telephone for Colour Analysis and although the latest call was scheduled for her Personal Style certification, we busily worked through all the brilliant ideas she had for workshops and how to market and present them! Each can also be purchased separately. You get a total of 8 live courses recorded over 9 days – 6 individual colour & style training courses, 1 personal & business development course, and 1 more to help you get more clients and build a successful business. In-depth professional training designed for image consultants, colour consultants and personal stylists to watch and re-watch whenever and wherever you need it. The 4 seasons colour theory just doesn’t work for everyone. The tonal system fills in the gaps and provides seasonal and tonal alternatives for all your clients. Watch a full day’s training course where Di learns how to add the tonal system to her current seasonal work. The Tonal System contains over 4 hours of video tuition with transcripts and extra training materials. Adding the tonal system to your seasonal work will revitalise your business. It will rescue all those poor clients who are struggling to make their seasonal diagnosis work. See them again and show them a better way to create a wardrobe that builds on their tonal colouring. Book in your already-happy-with-their-season clients for a tonal update to add more value and personalise their colour experience. Adding the tonal system will provide you and your clients with more opportunities to work together. This means happier clients who will recommend you to everyone they know, which means more bookings and more income for you. Everybody wins! The ‘Tonal Taster’ script used in this presentation is my secret marketing method. If I had to start again tomorrow with no list of previous clients, I would use the ‘Tonal Taster’ to kick-start my business. This one marketing method has brought me more clients than any other. This will set you apart from all the other speakers out there and make sure your audience never forget you! Use the ‘Tonal Taster’ to promote your own business, and also for easy tonal diagnosis with your 1-1 consultations and group work. 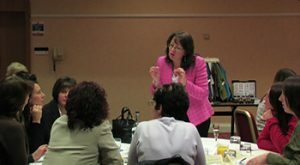 Watch this 2-hour video of me presenting a live ‘Tonal Taster’ guest speaker talk to an audience of over 60 ladies and gentlemen. How to deliver a tonal diagnosis for every single person in the room regardless of whether there are 25, 60, or 260 guests! A franchise-free personal style training course for both beginners and experienced image consultants. 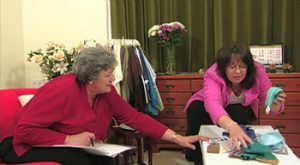 A franchise-free personal shopping and wardrobe planning training course for both beginners and experienced image consultants. A franchise-free mindset and motivation training course for both beginners and experienced image consultants. There is absolutely nothing like this for image consultants available anywhere else! A franchise-free colour psychology training course for both beginners and experienced image consultants. On this Colour Psychology Course learn about the history and story of colour personality profiling, and in detail at my own approach to colour psychology which I’ve refined over the last 35+ years. You’ll have so much more confidence working with your clients, and they will absolutely love the personalised service you’ll be able to offer! Create a practical, workable plan to help you build a successful business based around you, your personality, skills and experience, and the kind of lifestyle you really want, to get all the clients, bookings, and financial rewards you know you deserve. I wish someone had shown me all this when I started my own image consultancy over 35 years ago. Big sigh! Starter Kit You can also purchase the Improvability Colour Analysis Starter Kit which contains a set of 66 drapes, 4 seasonal & 6 safe tonal fabric fans, a cover-up cape and a colour wheel, as used by me on the course. Have everything you need in front of you whilst you train. 4 drapes: 1x Medium Bronze, 1x Moss Green, 1x Green Grey, 1x Rose Brown. You only need these 66 drapes to get started and I show you exactly how to use them. All our drapes carry a label showing both seasonal and tonal directions. You only need the 66 drapes above to get started and I show you exactly how to use them. All our drapes carry a label showing both seasonal and tonal directions. 1 of each season – Spring, Summer, Autumn and Winter. Get started with the best seasonal fabric fans in the business. I’ve been using them myself for 35+ years so they must be good! 1 of each tone – Bright, Warm, Muted, Cool, Dark and Light. Not everyone could possibly fit into the 4 seasons. Using these 6 safe tonal fans, you will learn how to incorporate tonal analysis into your consultations and workshops, and expand the colour possibilities for each individual client! Use the cover-up cape to cover over what your client is wearing so that you’re not distracted by the colours she arrived in. With the colour wheel, you’ll be able to explain the concepts of colour analysis in clear, everyday language and impress your clients with your professionalism and expert knowledge. 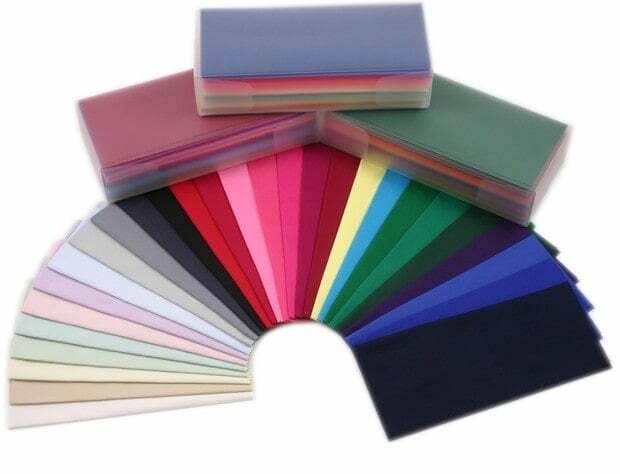 Further colour supplies are available whenever you need them from our online trade colour supplies catalogue, and there’s no minimum order, so you can order one swatch wallet at a time if you want, and we ship to almost anywhere in the world. Have everything you need in front of you whilst you train. Colour supplies are shipped directly from our UK suppliers by sign-for courier service. Colour supplies are NOT eligible for payment plans. Lifetime email support from Kim Bolsover – not available with any other course or program! Thanks Kim! I’m thrilled to get started on this venture. Thank you for providing such thorough training materials. I feel much more confident about color analysis now after finishing your course! First I would like to say congrats for your amazing performance on the course. Second, I would love to say thanks for giving to us the opportunity to have coaching calls with you, for me it’s more than a treasure! Let me tell you that I’ve studied with others previously and it’s been very, very interesting to contrast the different ways and I’m enjoying and understanding too, that the more I know, the more I still have to learn so I would love to prepare some very important questions for you. I can’t lose this opportunity! Big besos from España and thank you again for everything! Love this course Kim. I can watch on my iPad anywhere. Also I like the interaction in the group of ladies. I found this course answered a lot of my questions so many thanks for that. Found it amusing too! Hi Kim, Thank you for all your initial help and advice, I have thought a lot about our conversations and I really feel like your courses give me great confidence and energy to keep going. I have not yet completed all the courses I purchased but I am still doing it which is what is important. I would love your feedback in relation to [a recent] consultation and if you have any advice for me! Hi Kim, I recently purchased your online colour analysis course and have learned so much after just the first day. Your no-nonsense attitude and sincere support are not only encouraging, but also inspiring. Now, I’d like to purchase some colour supplies. “It is early days as my Mentor but I already wanted to say thank you for the courses which I am listening to as much as I can in between my other work and kids etc. I am loving it and it is helping to cement all the things I have already learnt with my previous trainer. I have finally completed my Image training with her so I am now feeling more comfortable about developing the way I work with your help as she was very keen that her way was the only way and I was feeling very uncomfortable about this – as we discussed. I have Image Clients booked in again from end of next week. I am going to book in a mentoring session with you. I was keen to go through your videos first rather than asking you lots of questions about things that you have already covered in your online training. I enjoyed your super-long phone message! It tells me you are so passionate about what you do. 1. I used the phone call script you shared with us in your eye-opening Get More Clients program. It was the first course that I bought from you. 2. I quickly figured out the lady’s colour personality based on her questions and overall approach. This is the skill you teach in your colour analysis course. 3. Based on her requirements I found out she is a visual learner – she wanted everything in writing. I learned this skill in your Style course. 4. I listened and made notes, which is the skill you teach us repeatedly in every one of your courses. 5. When I shared the investment with her, she said she was interested in the most expensive service I offer. Assume nothing. This is one of the best rules you teach. So to sum up, every single one of the courses I bought from you was a great investment. Why should I try to figure things out myself, if I have access to a mentor who has been there, gone through it all, and achieved her goals? I am so happy that I use your methods and take steps that WORK. Every single time. Because Kim’s work schedule is being pulled from all directions, only 2 Ultimate Programs with private 1-1 coaching sessions with Kim Bolsover are now available this year (2019). As soon as those two spots have been snapped up, this program will no longer be available.